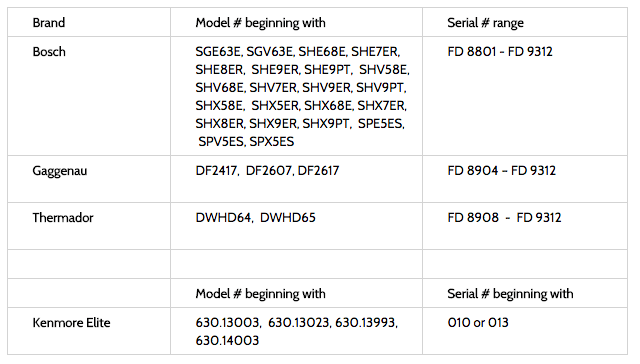 Because washing dishes shouldn’t result in a fiery inferno, the Consumer Product Safety Commission is recalling 129,000 dishwashers in the U.S., after reports that power cords used for multiple brands can overheat and burst into flame. 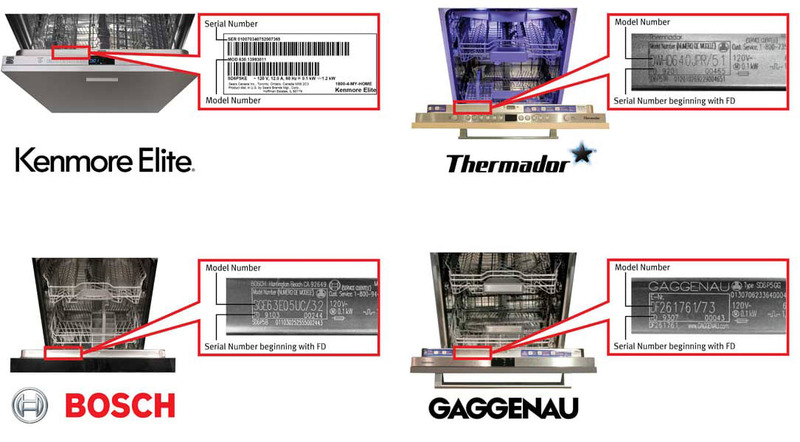 The dishwashers were sold under the labels Bosch, Gaggenau, Kenmore Elite and Thermador according to the CPSC, at a variety of appliance and specialty retailers, department stores, authorized builder distributors, home improvement stores nationwide and online between January 2009 and May 2014 for between $850 and $2600. An additional 45,000 washers sold in Canada are also included in the recall. So far, 10 reports of fires have been linked to the dishwashers, causing property damage in five of those blazes — but no injuries have been reported.